State of the art communication. That’s the 3 e’s of eee-mercials! 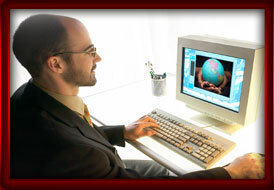 The eee-mercial is an email with a video message. The video plays in a customizable player branded with company logos, individualized email links, plus a wide variety of colors, fonts, designs, and layouts. The VideoForWebsites custom player tests the recipients’s computer and internet connection then delivers the appropriate video format. Nothing gets installed on their computer, the technology simply detects which applications are already installed and sends the most efficient video file. Information at the speed of email. The eee-mercial goes to people who already know you, and who want to hear what’s new. The video message brings interest, attention, and an impact that does not get ignored. Communication is worthless if the message gets ignored. eee-mercial with the expense, labor, printing, postage and hassle of regular mail. The eee-mercial gets quicker response than a TV commercial at a fraction of the cost.